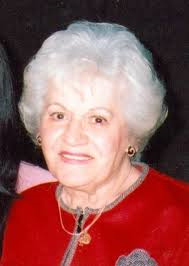 Marie A. Genetti, 86, of Hazle Township passed away Tuesday, September 25, 2014 at St. Luke Pavilion, Hazleton. Born in Hazleton, she was the daughter of the late John and Josephine (Uliano) Passarelli and was a member of Queen of Heaven Parish at Our Lady of Grace Church, Hazleton. Preceding her in death, in addition to her parents, were her sisters, Marguerite Passarelli, Josephine Rita Passarelli and Tina Passarelli, and brother, John Passarelli. Surviving are her husband, Leon Genetti Jr.; sons, Leon J. and his wife, Diane, Hazleton; David Paul and his wife, Daria, Wake Forest, N.C.; and Michael Anthony and his wife, Johnnene, Dippel Manor; grandchildren, L. Scott, Ross, Jillian and Lori Genetti and Chandra Chitswara; and great-grandchildren, Kaylee Grace and Kelsey Rose Chitswara; sisters, Edith Mango, Katy, Texas; and Marion Passarelli, Hazleton; and several nieces and nephews. Her funeral will be held Saturday at 9:30 a.m. from Joseph A. Moran Funeral Home, 229 W. 12th St., Hazleton. A Mass of Christian Burial will be celebrated at 10 a.m. in Queen of Heaven Parish at Our Lady of Grace Church.